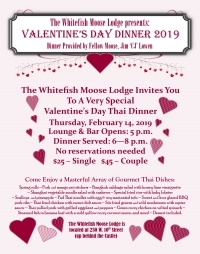 Valentines Day Dinner @ The Moose.!! 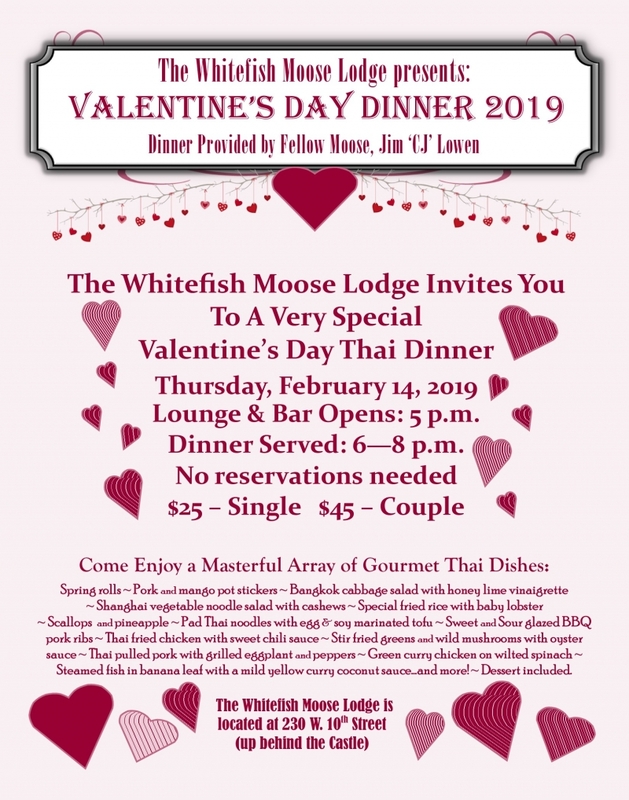 A Very Special THAI dinner prepared by fellow Moose member and Professional Chef CJ Lowen.! Don't miss this one folks - it's going to be Great.!! $25/ Single, $45/ Couples. Tickets available at Whitefish Pottery.